This is a winter experience like no other! Our photography package includes lodging at Chamberlin�s Old Forest Inn, a half-day dog sledding adventure at Nature�s Kennel (where you learn to drive your own dog team! ), snowshoeing at Tahquamenon Falls State Park, a guided trip to the ice caves in Munising, and personalized photography instruction throughout your entire trip. You photography instructor is Shawn Malone, an award winning visual artist, photographer, and owner of Lake Superior Photo in Marquette, Michigan. Shawn will help you develop your photography skills in many different environments as you experience the fast moving action of sled dogs, the serene nature of Tahquamenon Falls, and the majestic frozen waterfalls and ice caves in the Pictures Rocks area of Munising, MI. What is included: Three nights of lodging at Chamberlin�s Old Forest Inn in Curtis. 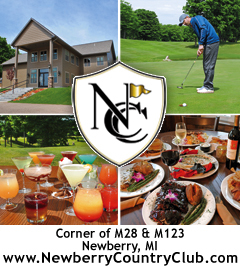 Chamberlin�s is nestled high on a bluff overlooking Big Manistique Lake in Michigan's Upper Peninsula. This incredible lakeside country inn offers charming accommodations and casual fine dining. Rich in history, this gracious 7500 square ft., 19th century-style lakeside dwelling was built by a railroad company to serve as a passenger hotel near the Curtis train station. More than one hundred years later the inn continues to embrace travelers with warmth, comfortable lodging and stunning views. You will have full breakfasts, lunches and dinners provided as noted in the itinerary. Transportation is on your own to each location. However, we will help to make carpooling arrangements for our trips to Nature�s Kennel, Tahquamenon Falls State Park, and Munising. Cost: $1400 per person for double occupancy, $1540 per person for single occupancy. All gratuities and meals included. Fleece gloves, warm mittens, neck warmer or scarf (something to cover your neck/face), winter boots (provided through Nature�s Kennel if needed), snowpants/windpants, winter jacket, handwarmers (these work great to keep batteries warm as well as your hands and feet for dog sledding! ), and YakTrax or similar �snow grippers� to slip on over your boots for walking on ice/slippery trail. Snowshoes are provided for our hike at Tahquamenon Falls but you may bring your own if you�d like. Payment: A 50% deposit is required at the time of reservation. The balance of the trip is due on February 3 when you come for your adventure. Payment may be made via all major credit cards or personal check. Please note that Shawn�s photo workshops and Nature�s Kennel Sled Dog Adventures are very popular. Cancellation policy: In the unlikely event that the trip is canceled due to weather conditions or unforeseen circumstances with Lake Superior Photo/Shawn Malone or Nature�s Kennel/Tasha Stielstra, you will receive your full deposit back. If participant(s) request a cancellation, the deposit will be refunded if request is made before January 20th. Reservations: To make your reservation, please contact Tasha Stielstra of Nature�s Kennel at 906-748-0513 or info@natureskennel.com. Please note this trip is limited to 10 participants. This trip has filled to capacity in the past, and if this is the case, there will be a waiting list. Tasha Stielstra and her husband, Ed, own Nature�s Kennel Adventures and Iditarod Racing team in McMillan, Michigan. Ed is a very accomplished musher, having completed the Iditarod Trail Sled Dog Race eight times and competing in numerous mid-distance races throughout the US and Canada. Tasha has also run in mid-distance races throughout the Midwest and Europe. Nature�s Kennel is home to 200 Alaskan Huskies and is the largest sled dog kennel in Michigan. The Stielstras are known for their outstanding dog care and dedication to their kennel.